Grizzly Sports – Your an all-access pass into the world of celebrity athletes. 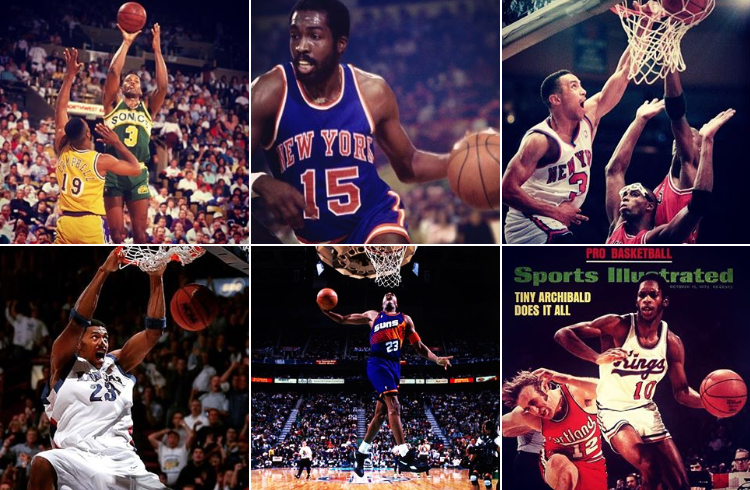 Grizzly Sports was contracted by the Margaret Hudson program of Oklahoma to provide a talented roster of former NBA and NCAA stars for a charity basketball game to be played in Tulsa. The game will be held on Father’s Day weekend as a fundraising event for the Margaret Hudson Program. This family-friendly event promises to be a highly entertaining game and will feature Sam Perkins and Robert Horry as Honorary Coaches, alongside an impressive roster of former NBA and college stars Dale Ellis, Anthony Bowie, Kenny Thomas, Wayne Simien, Tyrel Reed, Cedric Ceballos, Stephen Howard, and Gerald Brown. CLICK HERE to purchase tickets. 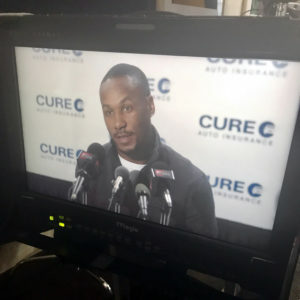 Grizzly Sports teamed Philadelphia Eagles Pro Bowl Running Back Darren Sproles with Philadelphia-area auto insurer CURE for a soon-to-be-released television ad campaign. A series of commercials with Sproles were shot in Philadelphia on May 22. The advertisements will run over the course of the next year, with options to continue running in additional years. Thank you to our new friends, Eric Poe, COO, CURE Auto Insurance, Matthew Festa, Senior Marketing Program Manager CURE, Peter Odiorne, Director, Sarah Schatzinger, Executive Producer and Jon Isen, Executive Producer, for the opportunity to work together. In partnership with PrimeSport, the NCAA Men’s Basketball Tournament’s Official Agency, Grizzly Sports provided the following celebrity athletes to the NCAA Tournament for pre-game, in-arena fan appearances: Hall of Famers Earl Monroe and Nate “Tiny” Archibald, NBA All-Stars Dale Ellis, John Starks, Otis Birdsong and Cedric Ceballos, NCAA All-Americans Luke Jackson, Dan Dickau, Ron Brewer, Kenny Thomas, Scot Pollard, Wayne Simien, Doug Christie, Cliff Levingston and Roosevelt Bouie, NBA All-Defensive performers Eric Snow and Tree Rollins, and All-Conference collegiate stars Tony Smith and Tyrel Reed. These were Official NCAA Tournament events and have been an annual Grizzly Sports tradition as part of a long-time relationship with Prime Sport and the Men’s Final Four. Starting 5? Pffft! Grizzly’s rolling out a dominant Starting 6 for the July 22-23 First Tee of NW Arkansas Celebrity Golf Tournament at the picturesque Blessings Golf Club in Fayetteville, Ark. Pictured from left to right are members of a grandiose Grizzly Six Pack: Hall of Famer James Worthy, Slam Dunk Champ Spud Webb, NBA All-Star Ced Ceballos, NBA All-Star Larry Nance, ABC/ESPN icon Jalen Rose, NBA All-Star Sidney Moncrief. On the court or on the greens … we’ve got game when it comes to booking celebrity athletes for our clients. Grizzly Sports & Entertainment Marketing delivered Cleveland Cavaliers All-Star Kyrie Irving and NBA standout-turned-broadcaster Jalen Rose to an exclusive VIP dinner event with more than 100 Chase Marriott Rewards Premier Cardmembers at Gene & Georgetti Steakhouse in Chicago. 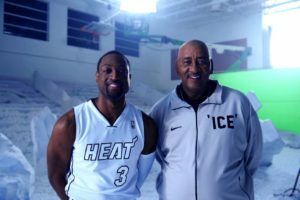 Grizzly Sports & Entertainment Marketing proudly worked alongside Gatorade to help push out an innovative new television commercial spot featuring Grizzly client George “Ice Man” Gervin and NBA All-Star Dwyane Wade to help celebrate the start the 2016 NBA Playoffs and launch a new line of Gatorade Frost. 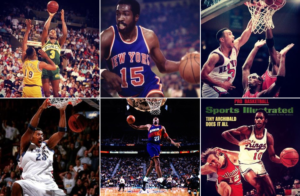 Grizzly represented Hall of Famer Gervin for the international TV advertisement and helped negotiate an agreement with Nike that allowed Gatorade to utilize the “Ice Man” persona made famous in a 1980s Nike poster that featured Gervin sitting on a throne of ice in a silver track suit. 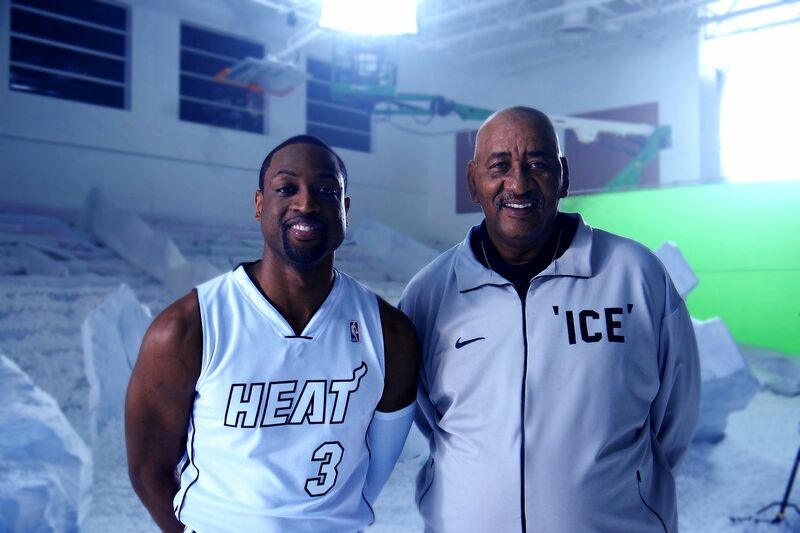 Click to watch Gatorade Frost Play Cool with George “Ice Man” Gervin and Dwyane Wade.